She who holds the amulet, holds the power….. Photographer Stevie Lewis is a newly single mom focused on raising her five-year-old autistic son Charlie, and running the business she shares with her best friend. She lives in beautiful Beaufort, North Carolina, within walking distance of her parents. Her mother is the president of the Beaufort Historical Society, and her father enjoys watching Carolina Panthers football. Although Stevie’s life has its challenges, it is altogether average. 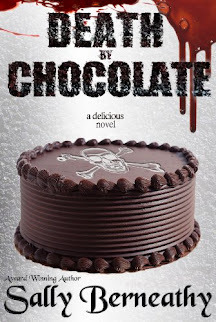 That is until rich, ruthless Vanessa Moore, the bad seed sown by the infamous pirate Blackbeard generations ago, returns to Beaufort determined to retrieve a magical amulet and exact revenge for her mother’s imprisonment. It turns out Stevie’s life isn’t so average at all. She learns that the Historical Society is really a coven of witches. Her mother is their queen; and Vanessa is bent on destroying them all. When Vanessa endangers the life of young Charlie, Stevie’s dormant supernatural powers rush to the surface to save her son. With help from the clandestine coven led by her own mother, Stevie works to master her magical talent. What lengths will Stevie go to protect her only son? Bonus section added! The prequel novella, "The Secret Keepers" has been added at the end of this novel as added historical narrative of battles with the infamous pirate Blackbeard in the 1700's and a Coven of witches played out as drama between good and evil. Find out how this twist of history impacts the witches of The Coven today. Loved it from page one! 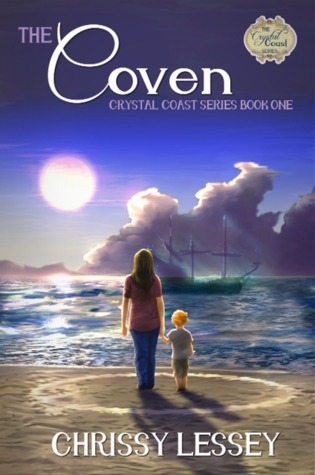 Chrissy Lessey has amazing storytelling abilities that make The Coven come to life for the reader. If you love a good urban fantasy novel, you're going to love this book. I can't wait to read more from this author.